Monkeys is a luxury retreat that sits nestled in the island's glorious nature and is surrounded by indigenous trees. 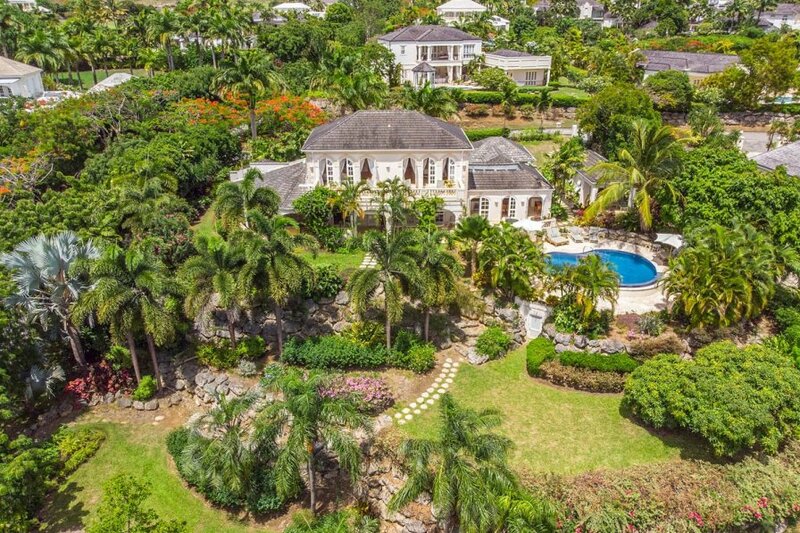 Located in the glitzy parish of St James. Monkeys is a luxury retreat that sits nestled in the island's glorious nature and is surrounded by indigenous trees. Located in the glitzy parish of St James, it's easy to see why this is the playground of the world's rich and famous. Monkeys benefits from a lavish yet refreshing design with views that you'll remember for a lifetime. The furnished veranda offers wonderful views of the beautiful garden flourishing with tropical plants and flowers and the sparkling private pool. The pool area benefits from sun loungers and chairs and small tables for beverages and snacks. You'll easily want to spend all day here, wining and dining in between dips in the pool. An outdoor covered terrace and open-air terrace are easily accessed via the open plan living room. The living room features an elegant high ceiling and boasts a graceful cream coloured decor. The room is tastefully designed with modern artworks adorning the walls, glass tables and comfy sofa chairs. All five bedrooms are spacious and bright. The light-coloured curtains emphasise the natural light coming in from the windows and all rooms contain minimal furniture. A furnished balcony is accessible via the master bedroom's three large doors. Guests will love waking up every morning to the awe-inspiring scenery. Looking to monkey around on holiday and have some fun? Then we've found the villa for you! Monkeys is an incredibly luxurious 5-bedroom villa that has beautiful gardens and a private swimming pool. Monkeys is situated on the renowned and exclusive Royal Westmoreland Resort which offers a gym, tennis courts and a wellness centre. When you wish to stretch your feet and explore what's beyond your immediate surroundings, you won't have to travel far to find something truly special. Drift Ocean Terrace Lounge lies only a 10-minute drive away from Monkeys and provides a unique dining experience in Holetown. While on board, you will have the once in a lifetime opportunity to snorkel with the turtles and discover the island's bays, miles of coast and plethora of marine life up close – simply mesmerising.